In any market as growth oriented as this one, cost cutting is a reality. Nevertheless, when mission critical business data and user authentication information is at risk, cost cutting can lead to the need for loss mitigation services. New service providers stressed to produce can leave holes in their cloud platform, which can lead to break-ins, or worse. There will always be the less scrupulous and when money is flowing, the less scrupulous grow like fungus. Expect to see small cloud providers exposed as less than trustworthy. At the very least, they may end up hosting malicious software and, at worst, the provider may be the culprit. While this may be the rarest of situations, the threat is very serious. With cloud computing so popular, providers are under pressure to staff up, which is the ultimate opportunity for a malicious individual to score a job and break-in from the inside. The potential for damage is vast, with businesses hosting vital information online, or worse, using a remote back up service. 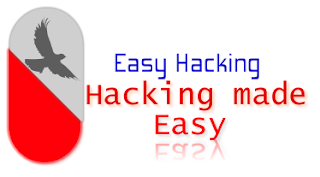 With teams of hackers increasingly common to see, this could already be a big problem and we might not even know it. Quality of service and reliability of data in the cloud is one of the biggest issues, period. As competition grows, the likelihood of lower-end providers suffering facilities loss or data loss increases. This can come from maintenance cost reduction and outsourcing, for example. While many middle tier providers use large-scale outsourcing, such as Amazon E2, there is no guarantee that they will use it right, especially if they are struggling to survive in heated up market. What happens to your data backups if the provider suddenly goes out of business? As you can imagine, the data backups are gone. Companies trying to grow are unlikely to alert their customer base that they might need to have a back-up plan to their paid back ups. Reseller firms of wholesale capacity from first tier service providers, such as Amazon exist, and there is always the possibility that their provider would go lights out as well. 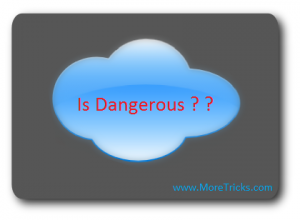 It’s easy enough to answer the statement, “Give me 5 reasons why the Internet is dangerous,” so why is it that everyone argues over whether or not cloud computing is as dangerous as the Internet, when they are practically the same exact thing? One could just rewrite the same five reasons and apply it to the two statements and this was true many years ago when cloud computing was an exotic experiment. How Can I Make the Windows Command Prompt Better? Windows 7 on iPhone !! !